Brief Synopsis – Based on the true story of a gas station attendant who claimed to have received a revised will by the recluse Howard Hughes where he was named as a beneficiary. My Take on it – This was a film that I had heard about but never really knew what it was all about before watching it. It’s actually quite boring and I didn’t find it to work very convincingly at all. The story itself drags along and meanders its way back and forth through some very banal sub plots. It feels way too choppy and it’s as if parts are missing that would make it much more enjoyable and comprehendable since they might be integral to the story itself. Jason Robards was nominated for an Oscar for Best Supporting Actor for his performance here, but it’s really a blink and you’ll miss is cameo. I think he was nominated more for the fact that he was a great actor than for the performance in this role since his character doesn’t have enough of a physical presence to truly be effective. Mary Steenburgen won an Oscar for Best Supporting Actress for her role here and it was definitely more of a stand out than any of the other roles here so I can sort of understand how she could have won for this performance. Bottom Line – Pretty boring film that doesn’t work well at all. The story meanders along too much and feels like it’s way too choppy and is missing integral parts to the story itself. 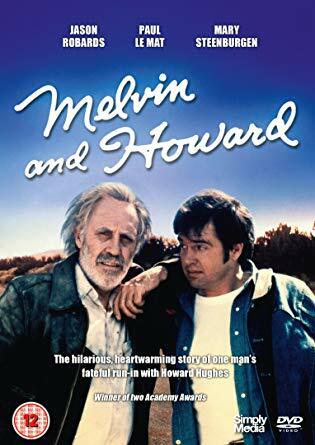 Robards was nominated for an Oscar for his brief supporting role but it feels more like a nomination solely because he is a great actor and not necessarily due to his performance in this film itself.